It could be déjà vu all over again in Washington next Monday, if President Donald Trump’s Supreme Court nominee Judge Brett Kavanaugh is confronted by a woman who’s accused him of sexual assault. 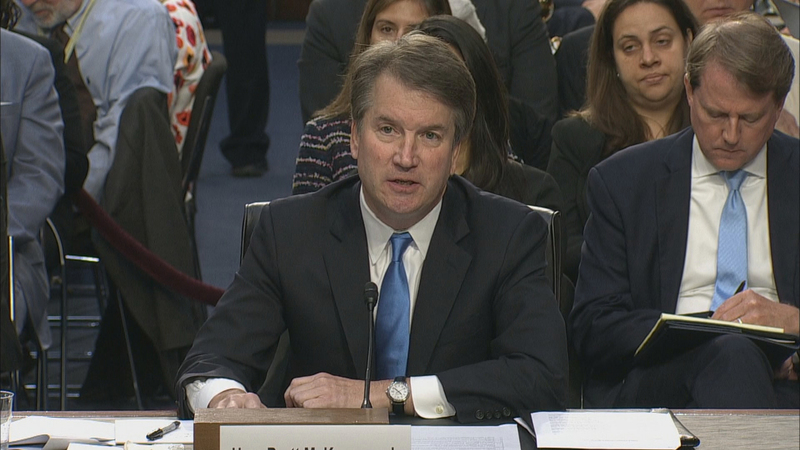 Ford has not yet agreed to testify before the Senate Judiciary Committee on Monday. The last time a Supreme Court nominee was accused of sexual misconduct was in 1991, when Anita Hill testified before Congress that nominee Clarence Thomas sexually harassed her while he was her supervisor at the Department of Education and the Equal Employment Opportunity Commission. Despite Hill’s allegations, Thomas was ultimately confirmed and has sat on the Supreme Court since. Joining us to discuss this latest turn of events in the embattled Kavanaugh nomination are Illinois NOW president Michelle Fadeley, attorney David Applegate of the Chicago Federalist Society, and U.S. News and World Report columnist Jim Warren.